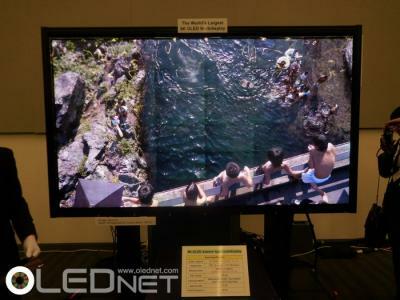 Last week Japan's SEL demonstrated an 81" 8K OLED display, built from 36 13.5" flexible OLED panels that have transparent edges on two adjacent sides. The panels are tiled together seamlessly - and this enabled SEL to create the world's largest OLED display ever. We now have a photo of the display prototype, as you can see above. While this is an impressive feat, it's quite clear that the display is not seamless and you can say the places where the tiles are connected.